The Planning and Zoning Commission consists of 5 members appointed by the Mayor and confirmed by the Town Council. The Planning and Zoning Commission annually elects a chairperson and secretary from among its own members, which both continue to hold full voting powers. The Chairman is responsible for coordinating meetings and keeping the Council informed on matters that come before the Planning and Zoning Commission. It is the duty of the commission to plan for effective land use issues within the Town of Wyoming such as rezoning issues, sub divisions, and conditional uses and to make recommendations to the Town Council. The Town Council has the final vote based on the recommendations of the commission. Planning and Zoning Commission members each serve for a five-year term, with the term of at least one member expiring annually. 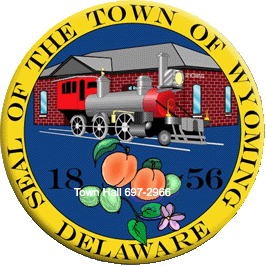 THE COMMISSION MEETS THE FOURTH WEDNESDAY OF THE MONTH AT THE WYOMING MUNICIPAL BUILDING, 1 N. RAILROAD AVENUE. If you wish to apply for rezoning, a subdivision, or a conditional use you must come to the town hall and complete an application. Please allow ample time for the application process. Any questions or issues can be directed to Laura Connor at the Town Hall, 302-697-2966.